To say I love this sim is a MASSIVE understatement. 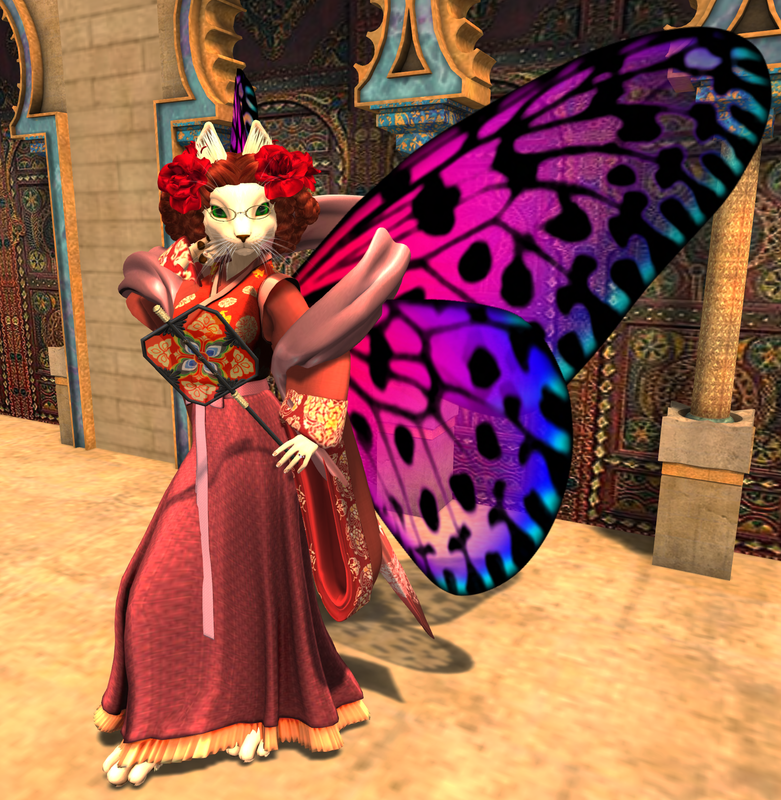 Everything about this sim appeals to my fae brain. The color pallet that The Looking Glass uses in all of its builds is a long time favorite of mine. So thats always a bonus just to start with. 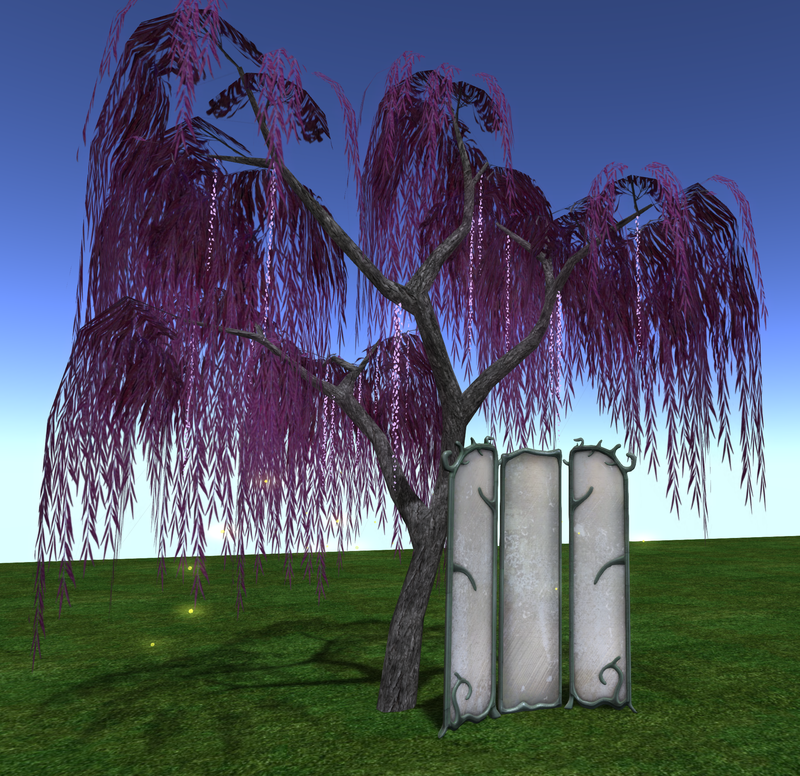 But then you toss in Sparkly trees, Candles, onion dome houses, Dragons all over, lil hidden nooks to sit in and rest, and the MASSIVELY AWESOME Shrine tree itself and....yeah It's my clear favorite of the sims this year. Not only do you have the amazing custom builds by Marcus and Sharni of the Looking Glass, but scattered about are dragons by HEXtraordinary. Their first appearance in the faire but not their last! And then the shrine tree. Oh how I wish there was a smaller version of it to take home. its sure to be sold at the live auction and go for top price. There is so much to find on this sim. Amazing shops and just..can I gush about the build more? The altars scattered about are also perfect. OH AND YOU CAN BUY MOST OF THE SIM STUFF!!! I'll show a lot of that off next post. Click here for a list of all the stores on The Light of Va’loth a with SLURL's to their main stores I will not be posting SLURL's individually, as you can get them all at this handy link. If you need one for an item I have on that is NOT at Fantasy fair, and that will mostly be hair and poses, Ask for it! 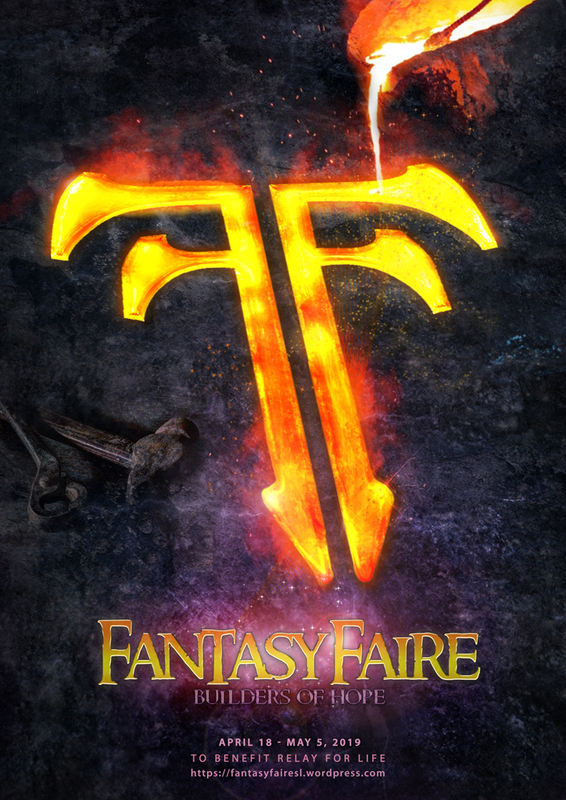 I'll be happy to tell you, but I am trying to highlight the Fantasy Faire exclusive items, or items by FF vendors only. 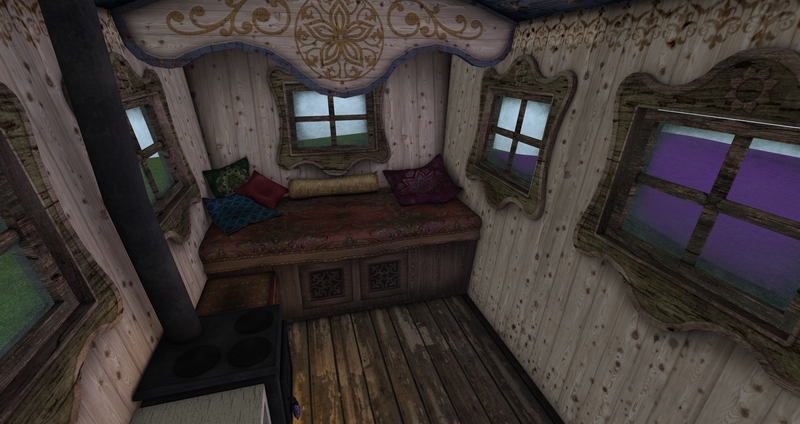 This sim was HEAVY on items you can rez and decorate with and light on things to wear. So for people looking for great garden and house items do go here! I have one gown to show you all! It is the Regina Dress by Partners In Crime and it is a fantastic red and gold gown that is just perfect for a medieval sim. I am also wearing a necklace by Amaranthus called the Filigree Iris Necklace. You cant really see it in the gown photo but there is a close up of it here Its a pretty lil thing all delicate and swirly. Lets get into the rez items now! Just a few of the designers you can pick from! Everything you see here is by Simply Shelby and its not even a quarter of the delicate and well crafted items you can get from them! Everything was so lovely I had a hard time picking what to focus on. I narrowed it down to four items. From left to right you have the Spring Cleaning Planter which is just the cutest lil mouse home ever. The Piano Garden which comes in an animated and none animated version. The Woodland Patio Set, which comes with four more chairs in other colors then seen here. And the Enchanted Butterfly Bench , I just love the colors on it and it is FULL of animations! Next up three items by HarshLands. Their work isn't as delicate as the other but very well made. From left to right, Monument of Hope (FF 2019 Exclusive), animated water and ONLY able to be gotten at the faire! 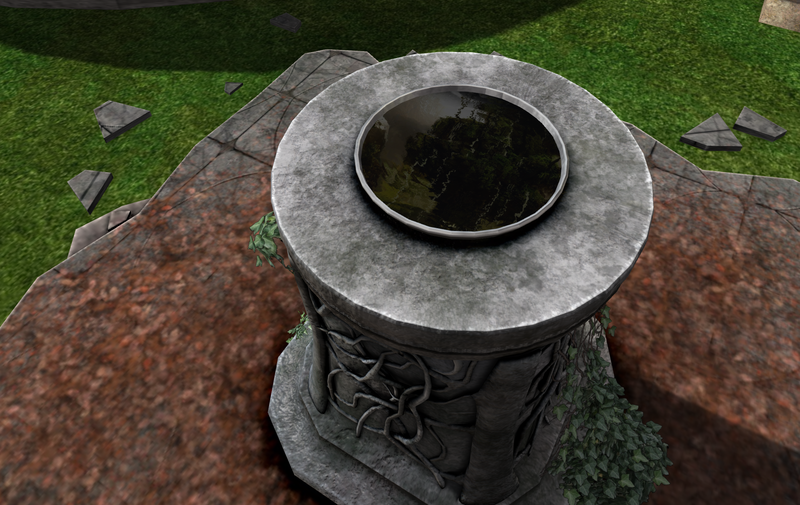 The Sacred Mirror, it comes in a few patterns and you MUST look into it with materials enabled. It has that trick on it that the mirror from last years Fantasy faire uses. Really amazing! 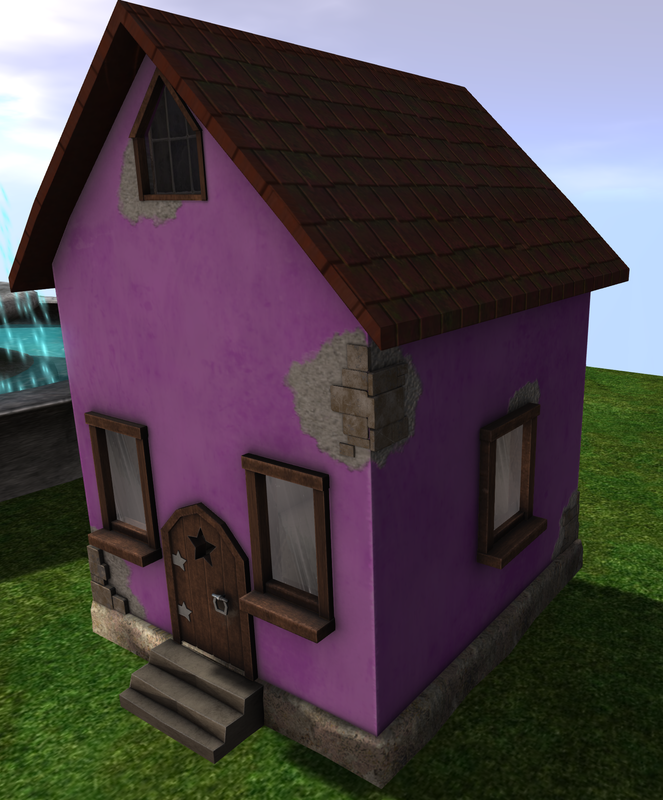 And lastly Magic House . This is the small size but it comes in a larger people sized version as well. and Lastly some items by The Olde Attic. 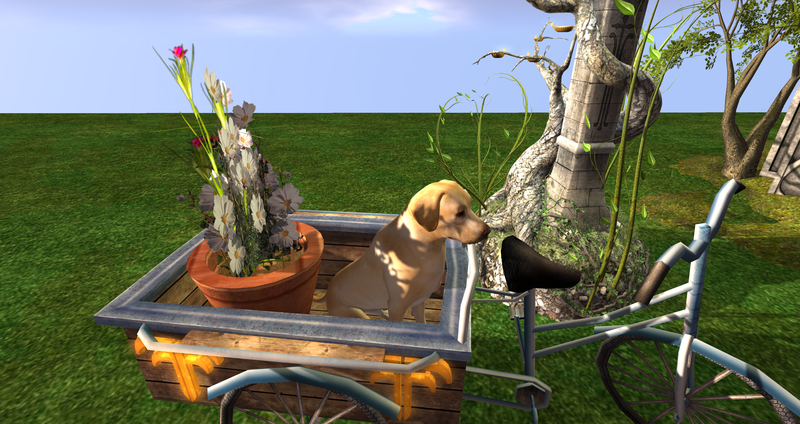 Left to right, a cute lil doggy in a cart called Flower Delivery. Next to it is In Our Darkest Hour , and those are not gold leaves those are lamps! Its animated as well. And lastly, a larger piece called Resting Time , which apparently I have turned around backwards on accident, on the OTHER side is a bench and some critters to keep you company . Whoops on the facing the wrong way! The build for The Light of Va’loth blends perfectly with the Twilight Springs. You go from a realm of Drow to a forgotten light Eleven city. Streams and small falls wind through the city. Lanterns still hang from many of the trees lighting the way for the travelers who happen upon it. 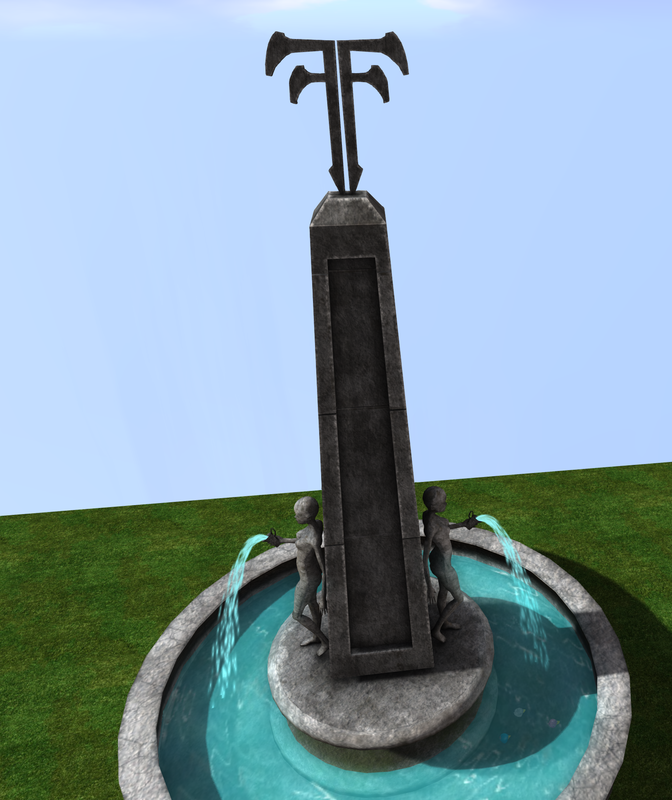 The centerpiece of the town is the towering statue of an elven queen. Even in the decline of the city the light from her beams down onto to it. Bringing perhaps some hope of a return to prosperity for the city. At the feet of the queen is a crystal thrown, perhaps waiting for the monarch to return. I highly recommend setting your windlight to a darker setting to see the beauty of the statue and the light coming off of it! Click here for a list of all the stores on Twilight Springs a with SLURL's to their main stores I will not be posting SLURL's individually, as you can get them all at this handy link. If you need one for an item I have on that is NOT at Fantasy fair, and that will mostly be hair and poses, Ask for it! 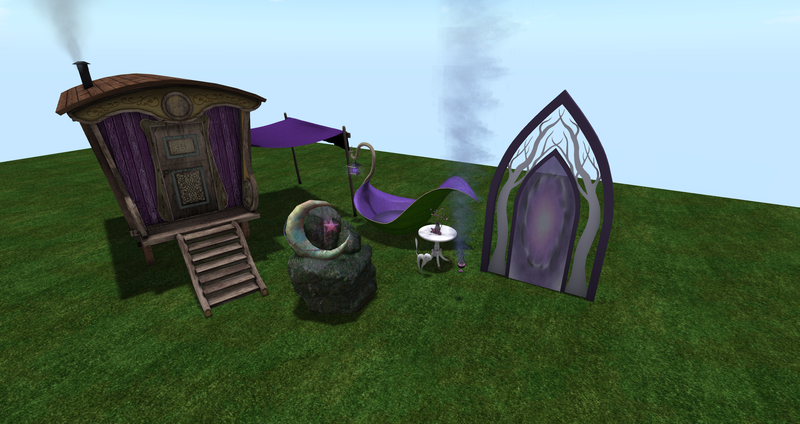 I'll be happy to tell you, but I am trying to highlight the Fantasy Faire exclusive items, or items by FF vendors only. 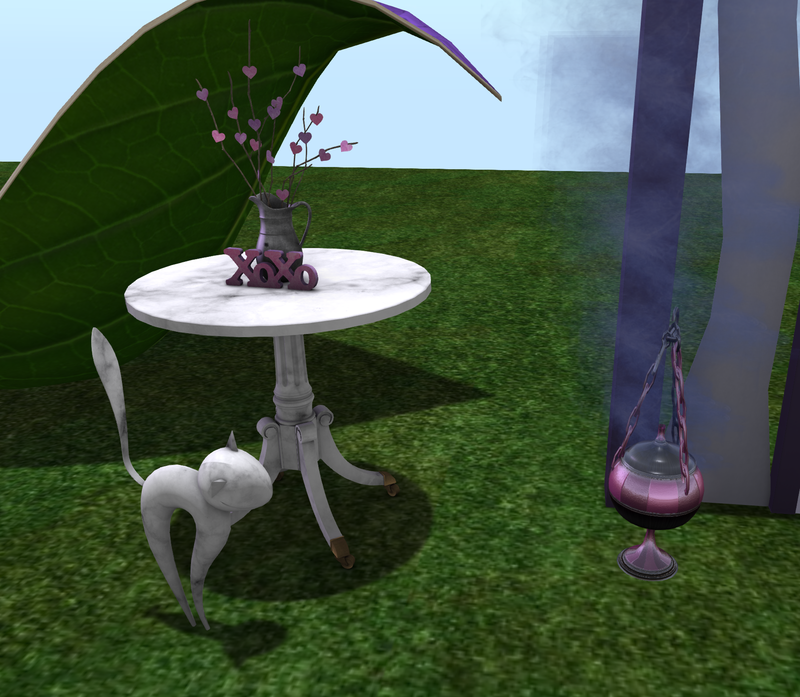 I had a little bit of a struggle finding items to blog from Twilight Spring. Because it hosts a lot stores that sell skins and other such items . And its Main sponsor store wasn't up yet,as the creator had been to busy making the sim to set that up! But I managed a few things, and if you are a fan of Skins and such DO go to this sim and check the shops out! This entire ensemble is by Eagle Design and its quite lovely! It is called Lanni. The umbrella is included and comes in both an animated and non animated versions. The lighter parts of the gown are sheer though not as sheer as the sleeves. This very complete armor ensemble is by Whymsical Marketplace and is called Darkna le' Draegon Armor. It does also come with boots but I choose not to wear them. The daggers in my hand are not part of the armor but part of the pose from Poseidon. Its one of two RFL packs in the vendors in the store..this is Poseidon Exclusive 3 Pose Pack. 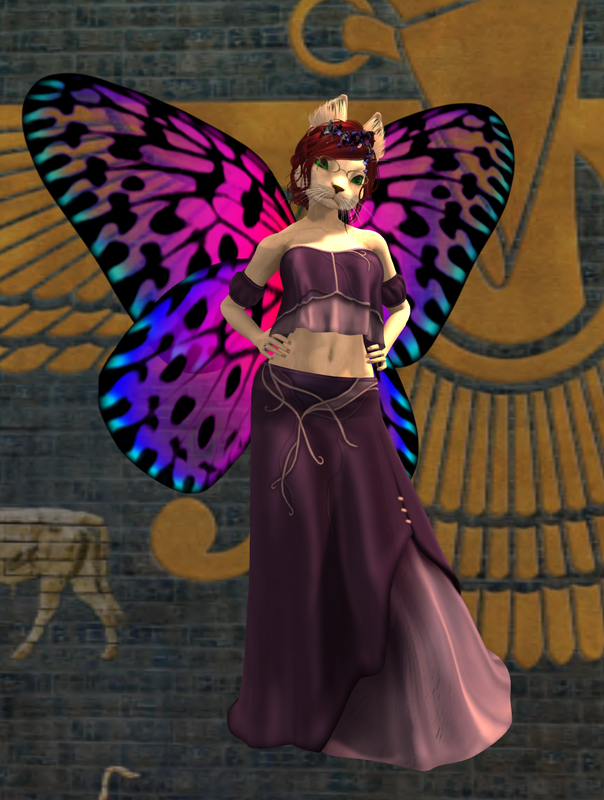 The other gown I have for you is also by Whymsical Marketplace It is their Drow Royalty Tyrian Amethyst Gown Set. Its a stunner of a gown with its low LOW front and satin like texture. The next sim over from Midas is the mysterious underground city of Twilight Springs. Found only if you climb the mountain to find the city inside it, It is truly a breathtaking sight. Waterfalls spill down into the town bringing with it a bit of light and life to the darkness. Trees growing along the tops of the falls. The buildings seem carved out of the mountain itself. As grand and as old as anything you have seen. Bits of Crystal and mushrooms are scattered about in the shadows tucked away from when the sun manages to reach in through the hole of the ceiling..
From the lake in the center a tall spire emerges toped with a symbol of the Goddess. The same symbol is found scattered about the town. She emerges just out of the hole for the town, like a beacon of hope in the darkenss. Click here for a list of all the stores on Midas a with SLURL's to their main stores I will not be posting SLURL's individually, as you can get them all at this handy link. 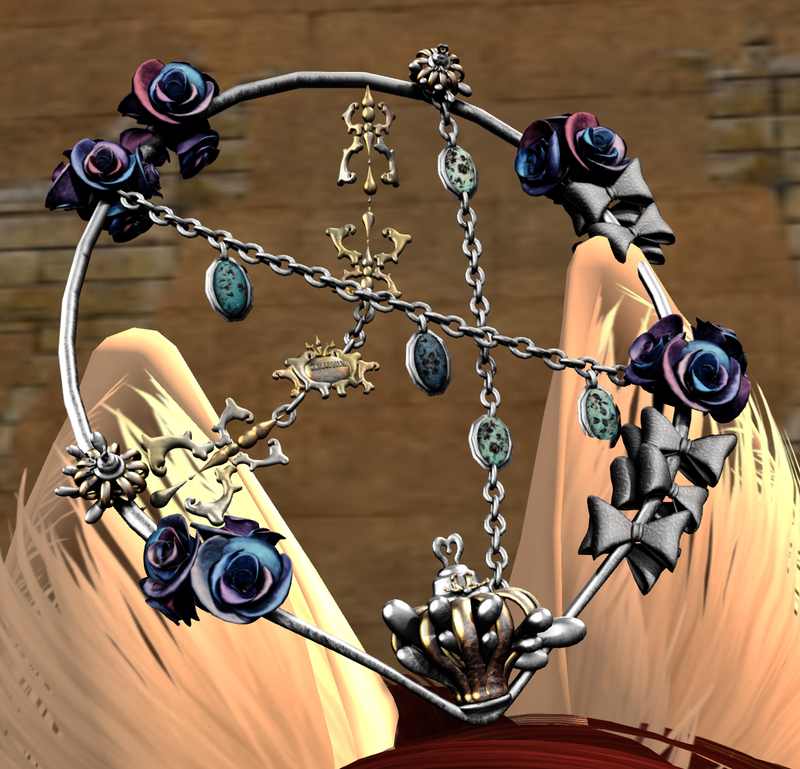 If you need one for an item I have on that is NOT at Fantasy fair, and that will mostly be hair and poses, Ask for it! 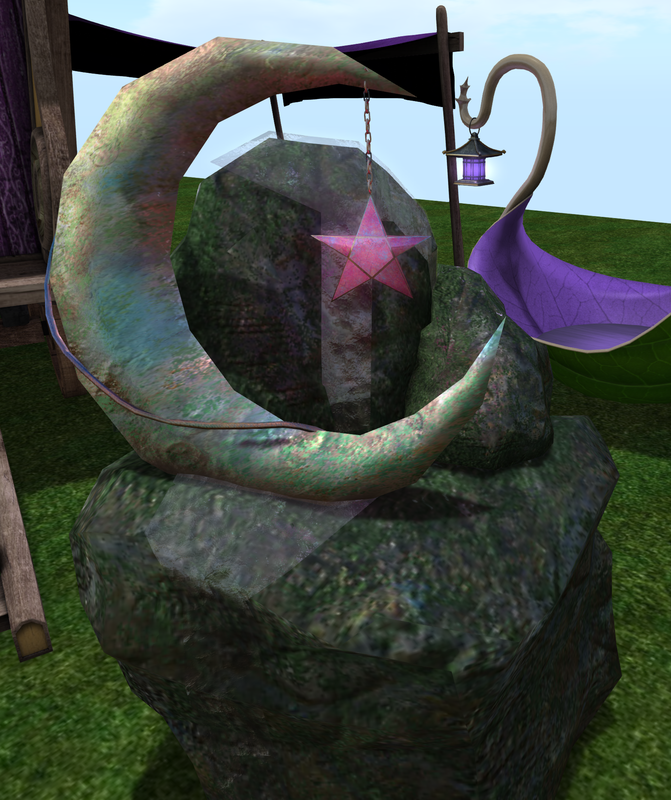 I'll be happy to tell you, but I am trying to highlight the Fantasy Faire exclusive items, or items by FF vendors only. Alia's sims always have some top notch designers on it and this year is NO exception so lets get to seeing what you can get! Seeing Evie's Closet on the sim made me SO HAPPY. She's been a long time favorite designer of mine in SL. 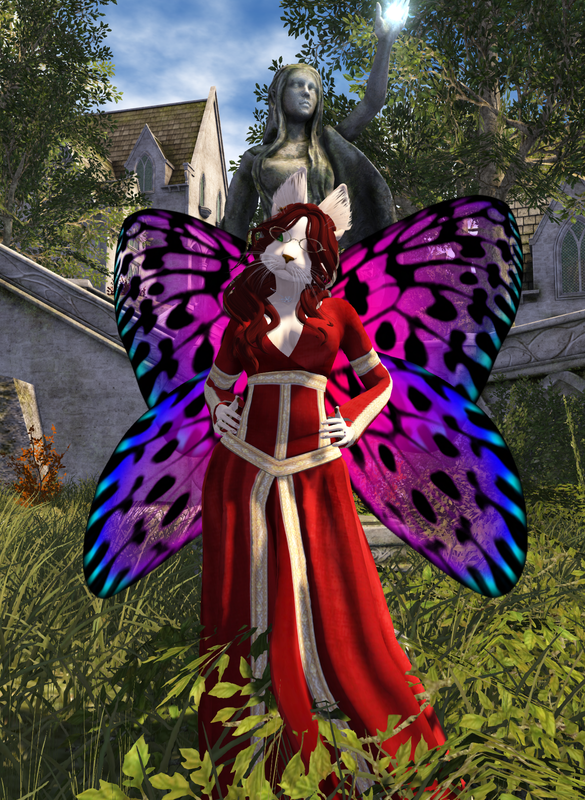 In this shot I'm wearing *EC* Echo Fairy - Purple it comes with wings as well but I never wear those. I love this outfit so much, its just got this sassy feel to it. I paired it with a headdress by a new to me designer called Rozoregalia and the headdress is called Gyuria, and I forgot to get a close up to it but its some fabulous orchids and chains. And you can touch to change the colors. Evie has three outfits in the vendor but I'm only going to blog two of them. Here's the other one! It's called *EC* Aelinor - RFL. A cute lil short two piece and I love that the relay color is gold for Midas! Next up is a lush kimono by Sakka's Studio called Nara. The shawl and fan are separate items for sale the shawl is called Hire and the fan Sashiba . Theres a pair of matching shoes you can get as well. My last wearable items to show you are a stunning Black gown by Faida called Amaja night. It can toggle between a sheer and a solid version. Showing the solid here, the sheer part is just over the breasts and when sheer its a nice floral lace pattern. Which is also on the solid version just not as easy to see. I am also wearing a Relay hair by Wasabi Pills called Rhiannon. The Relay color pack is several dip dyed shades! Balderdash - Cellestia, Cellestio Fountain - Borealis a bit of the Junction to take home! ~L/Fx~BLOGGER BOX Arabian Incense Holder - pink & black It has a smoke effect and is really quite lovely. 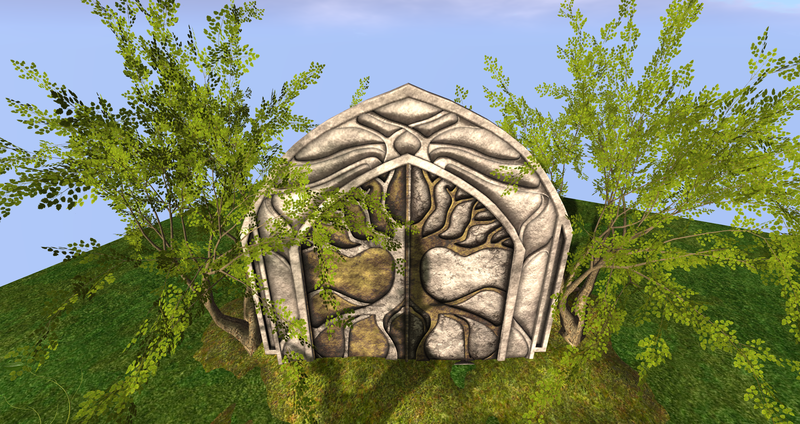 Elven Arch RFL & Portal by Rainy Fey Creations this item can be set up as a teleport system! 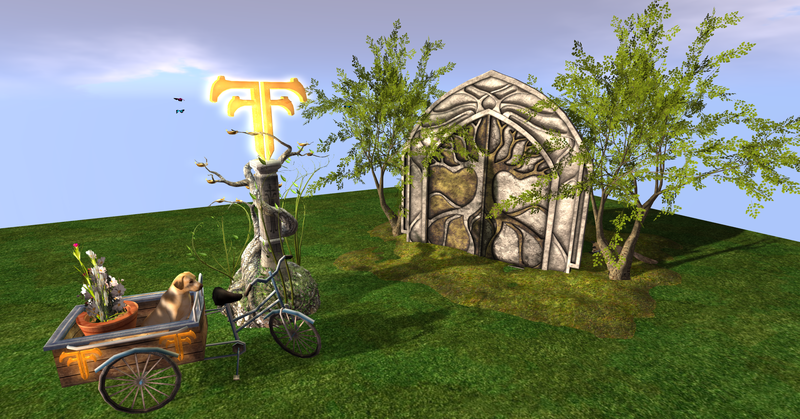 Sponsored by Fallen Gods Inc..
As I start my Clockwise trip around the fairelands the first sim out of Junction is by the always amazing Alia Baroque. Evoking memories of Babylonian with this build. Sun washed buildings rise up out of a bay. With a single tower looming over the city. Scattered about, golden leaves to bring thoughts of the myth of Midas and his golden touch. Blue washed Frescoes are scattered about the build to bring out a pop of color among all the golden stone. Its elegance is rich and the stories it could tell many. 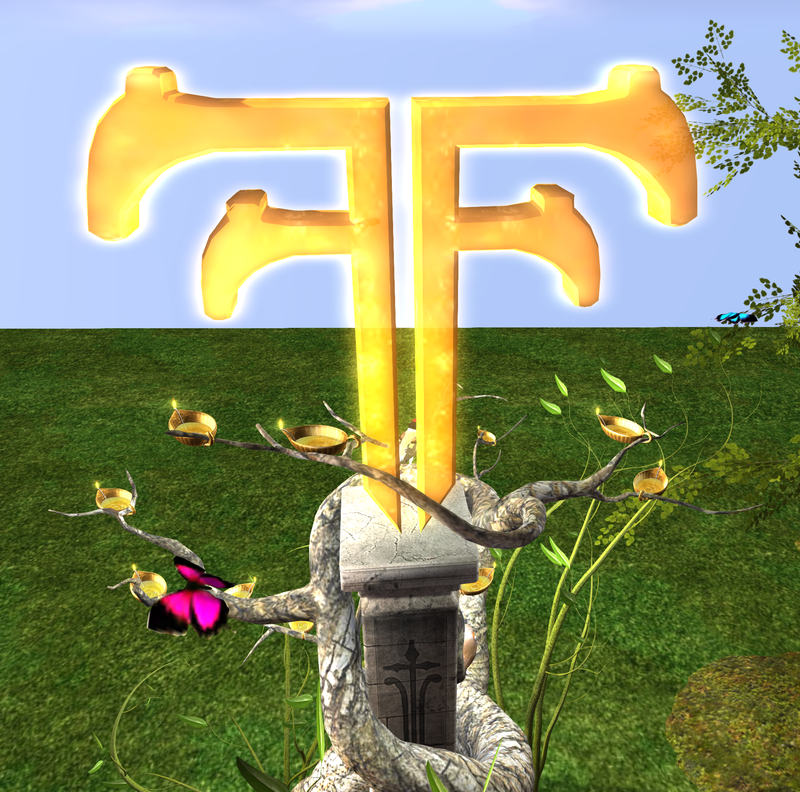 Despite some delays due to Linden Labs doing some maintenance FANTASY FAIRE IS OFFICIALLY OPEN AT LAST!! Above is what I will be seen in unless i am shooting something a designer has so generously gifted us bloggers with. This year the amazing Saiyge has brought us up out of the water and into the heavens. Junction has taken on the shape of an old abandoned and ruined celestial observatory, with the remnants of its grander still visible. In the middle of it all are gateways to the rest of the faire lands. It sits perched on an island and under it, like a mother hen on a nest. Are the worldings. small little dioramas of worlds that may be born in the future. There is also a small bit of underwater to explore. And if you need a moment to reflect, several candle walls to pay respects at. Just one day more and the sims open! Sitting in one now for blogger preview and let me tell you you guys are in for a treat! Made a lap around all of them and I can tell you this. 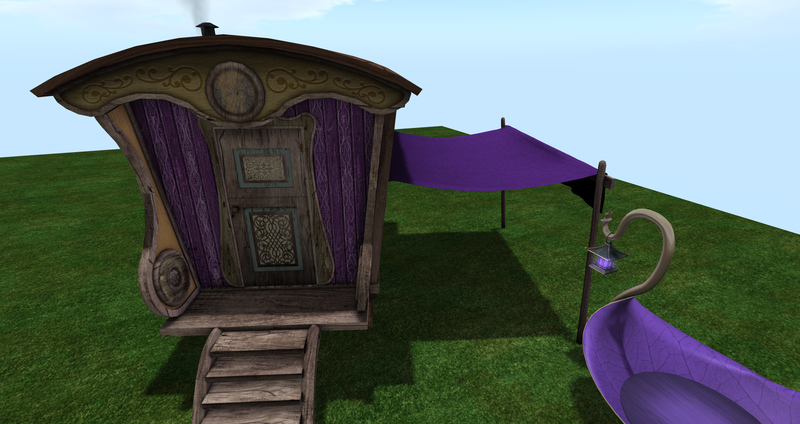 Not only will you get to see all the amazing offerings that the faire designers have for sale. But the sims themselves are as usual stunning and amazing! I can't wait to show them all off to you! Photographing the sims is always one of my biggest thrills to do. Little behind blogging this, and everything else in fact, as it starts IN A WEEK!! I'm so excited! This is always my favorite time in SL of the year. Can not wait to get into the sims they all sound STUNNING. PLUS they are going to be open longer then usual! So my posts will be a bit more spaced out then in the past. With the Salmons again this year again!